Collect acceleration, rotation, and altitude data in the classroom or in the field. Go Direct Acceleration connects wirelessly via Bluetooth® or wired via USB to your device. This 3-axis acceleration sensor has two acceleration ranges plus an altimeter and a 3-axis gyroscope. Zip-tie this accelerometer to your bicycle or affix it to your lab cart without any dragging cables. Connect Go Direct Acceleration to the included Micro USB Cable and any USB device for two hours. You can also charge up to eight Go Direct Acceleration Sensors using our Go Direct™ Charge Station, sold separately (order code: GDX-CRG). An LED on each Go Direct Acceleration indicates charging status. There are six acceleration channels, measured by two different chips, which are located under the 3-axis icon on the sensor label. The icon shows the positive direction for each axis, with the x-direction of acceleration parallel to the length of the sensor and the z-direction straight up through the label. Each direction of acceleration can be measured separately. If you choose to activate three acceleration channels from one chip at once, you can create a calculated column for the total acceleration magnitude. The altimeter channel measures altitude with a range of –1800 m to 10,000 m. Zero the altimeter before use to measure relative height above and below your zero level. The angle measurement channel uses the ±16 g accelerometer chip and trigonometry to calculate the angle of the x-direction axis relative to horizontal. If you set the sensor flat on a horizontal surface with the Angle channel turned on, the green "level" LED, , will glow to indicate 0° (horizontal) or 90° (vertical) inclination. In most cases, calibration is not necessary for this sensor. However, most accelerometers, including this one, sense gravity as well as acceleration. Thus, if you want to measure vertical acceleration separate from gravity, simply place the sensor in its measurement orientation and zero the axis that is pointing vertically upward. If you plan to use this sensor exclusively for vertical acceleration, it makes sense to calibrate the sensor so that zeroing will not be necessary every time a new experiment is created in the software. Calibration writes an offset value to the sensor, as opposed to setting a zero temporarily for the duration of an experiment. The offset value will then be applied each subsequent time the sensor is used. To calibrate the sensor, click or tap the meter for the axis you wish to offset and choose Calibrate. Orient your sensor as for measurement and enter 0 m/s2 (or whatever offset you choose, for example –19.6 m/s2 if you orient an axis vertically downward instead of upward). Click or tap Keep, then Apply the calibration. This sensor is factory calibrated, but you can choose to offset the value based on your physical location using the calibrate option. Go Direct Acceleration contains a small lithium-ion battery. The system is designed to consume very little power and not put heavy demands on the battery. Although the battery is warranted for one year, the expected battery life should be several years. Replacement batteries are available from Vernier (order code: GDX-BAT-300). To store Go Direct Acceleration for extended periods of time, put the device in sleep mode by holding the button down for at least three seconds. The red LED will stop flashing to show that the unit is in sleep mode. Over several months, the battery will discharge but will not be damaged. After such storage, charge the device for a few hours, and the unit will be ready to go. Go Direct Acceleration is not water resistant and should never be immersed in water. The accelerometers are microelectromechanical devices (MEMS devices) each consisting of a cantilever and a test mass. As the mass is accelerated, the cantilever bends, generating a signal proportional to the acceleration. Three orthogonal axes provide three channels of acceleration information for most experiments and an additional three channels of acceleration for high-g situations are also available. Acceleration measurements are used for the angle measurement. assuming that p0, the pressure at sea level, is 1013.25 mBar. The resulting altitude range is from about –1800 m to 10000 m.
The absolute pressure accuracy is ±0.2 mBar which can give you an error of ±1.4 m to ±5 m depending on which end of the scale you are at (–1800 m or 10000 m respectively). You will often want to study the change in altitude during an experiment. Examples would include roller coaster rides, sky dives, or bungee jumps. In these cases, the absolute altitude above sea level is not as important as relative altitude compared to the ground or to the starting point of data collection. Zero the sensor before collecting data to use relative altitude. A: It meaures normal force per unit mass, otherwise known as proper acceleration. You can see that the g-factor is then 1 for an object sitting at rest on a table, zero in free fall, etc. The g-factor is dimensionless. If the Normal Force is a vector, then so is the g-factor. g-factor is completely optional—it is just a shortcut to avoid a long name. 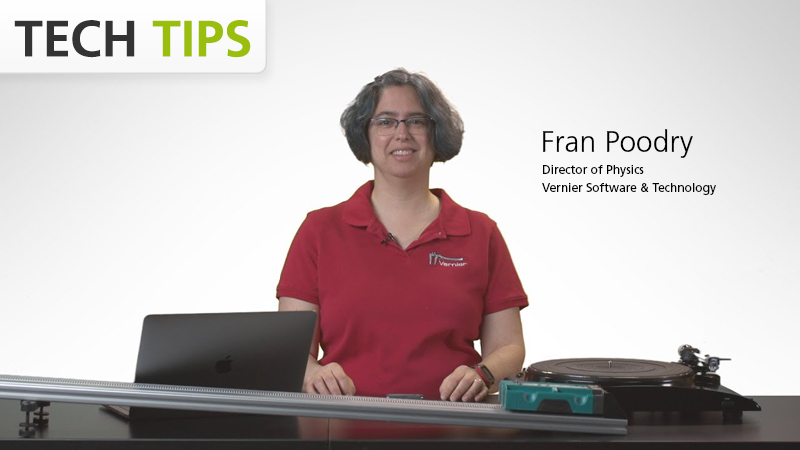 If you have followed the troubleshooting steps and are still having trouble with your Go Direct Acceleration, contact Vernier Technical Support at support@vernier.com or call 888-837-6437. Support specialists will work with you to determine if the unit needs to be sent in for repair. At that time, a Return Merchandise Authorization (RMA) number will be issued and instructions will be communicated on how to return the unit for repair.